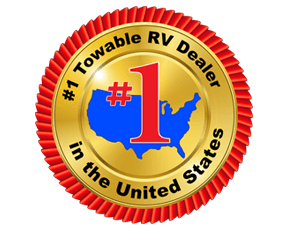 This travel trailer with a rear living area and dual entry doors has everything you need to enjoy camping to the fullest! The large slide out in the living area provides your crew with more space and here you'll find the sofa and booth dinette that can be converted to sleeping space if needed. Grab your cup of coffee, then relax on the lounge chairs or head outside to sit under the 16' awning. This model features a walk-through bath that leads to the private front bedroom with a queen bed a private entry door. 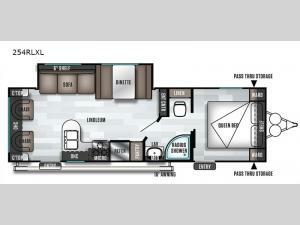 Choose a Forest River Salem Cruise Lite Northwest travel trailer or toy hauler and you'll enjoy taller interior heights, new Beauflor linoleum flooring, and extra large cabinets with glass inserts to give that touch of home. You'll love the kitchen backsplash which adds luxury and the single door refrigerator provides a place to store all your perishables. These units include two 20 lb. LP bottles with a hard cover, two exterior speakers, plus cable and satellite hookups so you can bring a TV along for some entertainment.